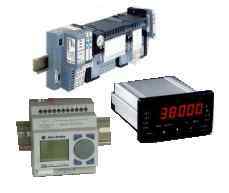 EMS manufactures and supplies low cost sensors and low cost controls for process automation and industrial applications. EMS provides application assistance to insure that a particular sensor or technology is best suited to your application. EMS provides products and services to all segments of the process control industry. OEMs, system integrators, engineering firms, distributors, end users, product manufacturers, and system designers. 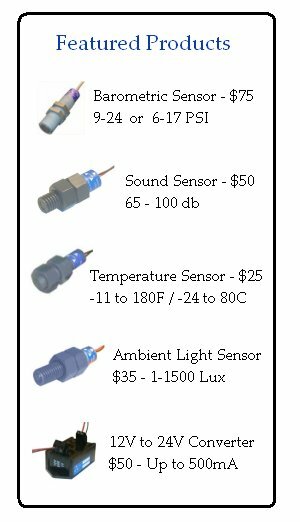 We supply pressure sensors, ultrasonic proximity and ranging sensors, temperature sensors, humidity sensors, barometric pressure sensors, sound level sensors, ambient light sensors, flow sensors, fluid pressure sensors and level switches. 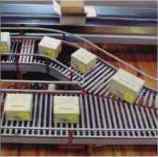 EMS started with the design of ultrasonic sensors and under the Sonarange and Sonaprox trademarks. 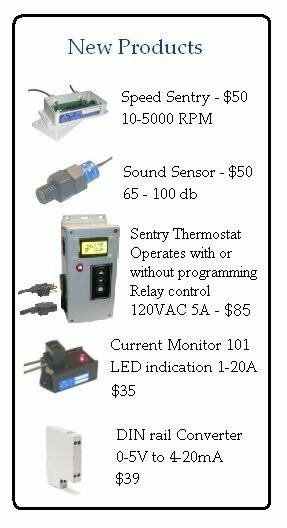 EMS sensors can be fully integrated into and operate with standard PLC, DCS, SCADA, or other control systems using standard operating voltages and output signals. 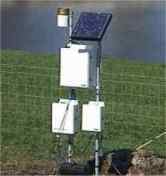 Our sensors also can be used with our "Sentry" line of controls for a complete "stand alone" system that is rugged, reliable, and economical. EMS sensors are suited for applications in a wide variety of industries such as; food processing, packaging, factory automation, chemical processing, pulp and paper, water and wastewater, textiles, metals processing and finishing, robotics, and industrial process control. EMS products can be used in remote telemetry, used in stand alone configurations or fully integrated into a variety of industrial automation applications. No contractual agreement can be established via purchase order, phone call, fax, email or other communication unless made in writing and signed by both parties. Unilateral terms or implied agreements as a condition of a sale are not considered valid. Under no circumstances is access to records, documents, property, facilities, or personnel granted or allowed.